Compare Life Insurance Quotes which will cover activities from Aviation to Diving, Parachuting to Climbing. Expert guidance and life assurance available! People who take part in Dangerous Sports and Hobbies are considered a greater life insurance risk and are often subject to some exclusions and higher premiums. What's more, the definitions can differ from one life insurance provider to another so it is worth talking to our team to find your best option. Ask us for a no obligation life insurance or critical illness quotation now. Do you fly for business and/or pleasure? How many hours have you flown in total, and in the last 12 months? How many hours do you anticipate flying in the next 12 months? 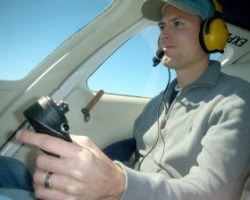 Are there any anticipated changes to your flying patterns in the next 12 months? Are you a member of or affiliated to The British Mountaineering Council? How many years have you been climbing? How many climbs do you make per year? What is the maximum height you've climbed? Are there any anticipated changes to your climbing patterns in the next 12 months? Do you have a BSAC or PADI qualification? How many dives did you make in the last 12 months? What was the average depth of a typical dive? What was the maximum depth you dived? How many races did you compete in over the last 12 months? How many races do you anticipate competing in over the next 12 months? Are there any anticipated changes to your racing patterns in the next 12 months? How many jumps have you made in total? How many jumps do you anticipate making in the next 12 months? Are you a member of a display team? Are there any anticipated changes to your parachuting patterns in the next 12 months? Complete our online form by clicking the button above - or call us now on 0800 520 0699 option 3 and get the ball rolling now! Our team will be delighted to have a chat and discuss your options - totally free of charge and without obligation.